Grade Hastelloy, Inconel, Nimonic, Rene, Udimet, Astroloy and Waspaloy series. Super alloys are important in high temperature applications; hence, they are also known as heat-resistant or as high-temperature alloys. Major applications of this alloys are in reciprocating engines, in rocket engines, in tools and dies for hot-working of metals and in the nuclear, chemical and photochemical industries. They generally have good resistance to corrosion, to mechanical and thermal fatigue, to mechanical and thermal shock, to creep and to erosion at higher temperatures. These alloys are referred to as iron-base, cobalt-base or nickel-base super alloys. 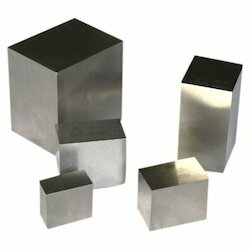 They contain nickel, chromium, cobalt and molybdenum as major alloying elements; Most super alloys have a maximum service temperature of about 1000°C for non-load bearing components. Iron base super alloys generally contain composition of 32% to 67% iron, from 15% to 22% chromium and from 9% to 38% nickel. Cobalt-base super alloys generally contain composition of 35% to 65% cobalt, 19% to 30% chromium and up to 35% nickel. Cobalt (Co) is white-colored metal that resembles nickel. These super alloys are not as strong as nickel-base super alloys in this they retain their strength at higher temperatures. Nickel-base super alloys are the most common of the supper alloys and they are available in a variety of compositions. The composition of nickel is from 38% to 76%; they also contain up to 27% chromium and 20% cobalt. Common alloys in this group are the Hastelloy, Inconel, Nimonic, Rene, Udimet, Astroloy and Waspaloy series. 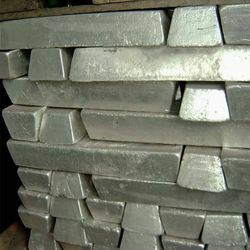 To meet the diversified needs of clients, we are able to wholesaling, trading and supplying a wide range of Pure Nickel Metal Foil. These products are highly praised in the market for its smooth finishing & strength. Offered products are manufactured using optimum quality material and the latest techniques. The offered products are provided in various specifications at competitive price range to the clients. We can supply NICKEL Alloys from "AUERHAMMER METALLWERK GmbH, Germany" in any forms like STRIPS & FOILS. We can supply all kinds of Nickel & Nickel alloys. We provide a variety of services for you. We will match any competitors' quality. Looking for Nickel and Cobalt Alloys ?